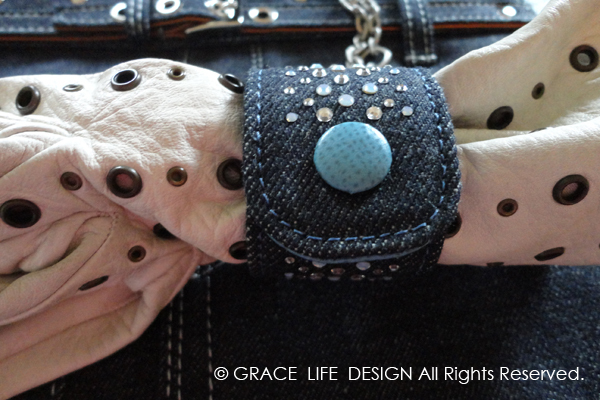 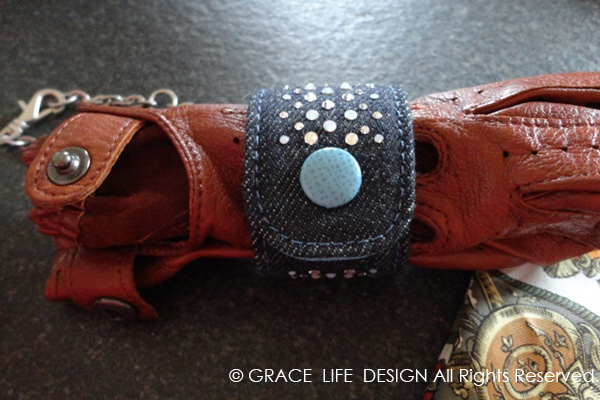 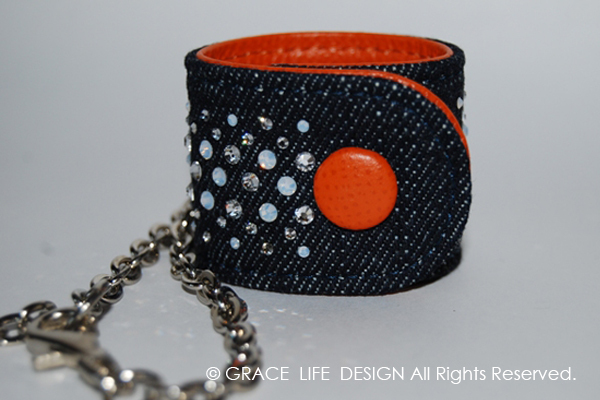 This denim glove holder is decorated with Swarovski stones on denim. 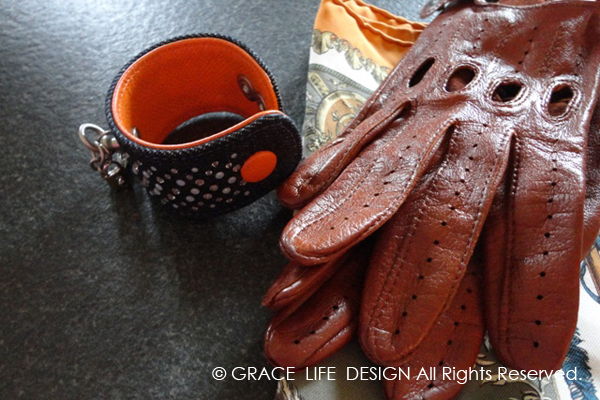 Japan’s cutting-edge Okayama Denim is used, and the carefully selected leather lining is from Perlinger in Italy whose leather is also used for some well known brand. 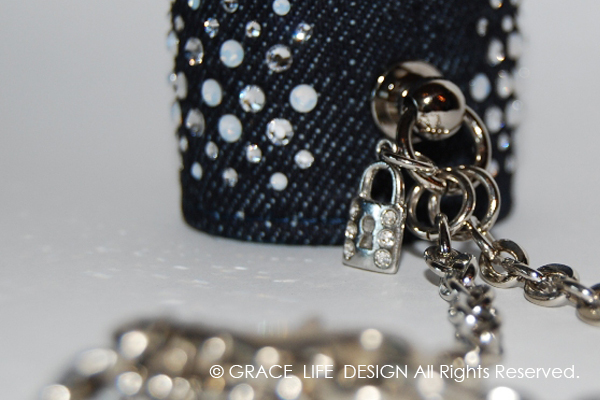 The Swarovski stones give a little sparkle every time the stones swing, and get you excited wearing it.